Now, I could go on and on about how fantastic Credo is and about all the amazing products stocked at Credo, but I’ll just share with you a few top choices from some of my favorite brands carried there. Vapour Organic Beauty, an all natural makeup and skincare line, has been knocking it out of the park with their vast array of products. They have a signature “Lit From Within” glow first achieved by applying Luminous Skin Perfector to smooth over fine lines and even out skin tone. Follow the Skin Perfector with their creamy-textured Luminous Foundation and blend into the skin with a foundation brush or dampened sponge. 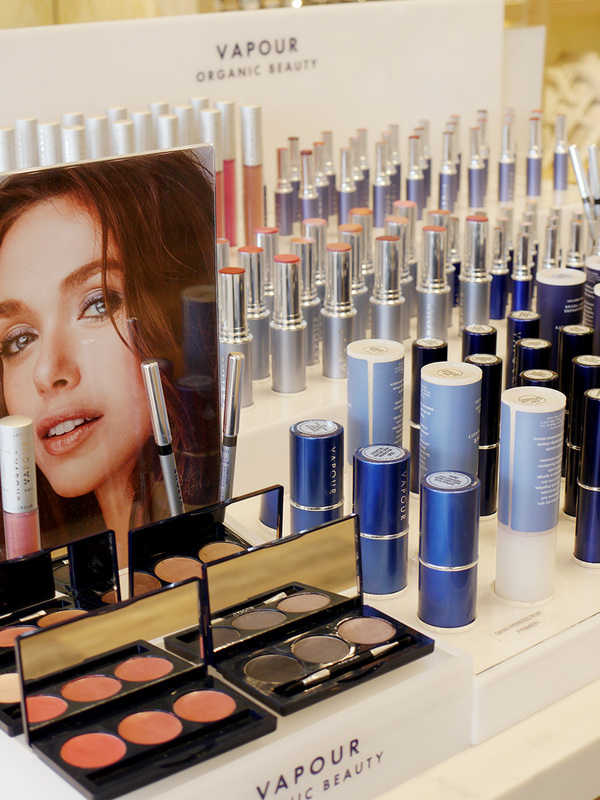 Once the foundation sets, your skin is left with the most beautiful radiant finish! 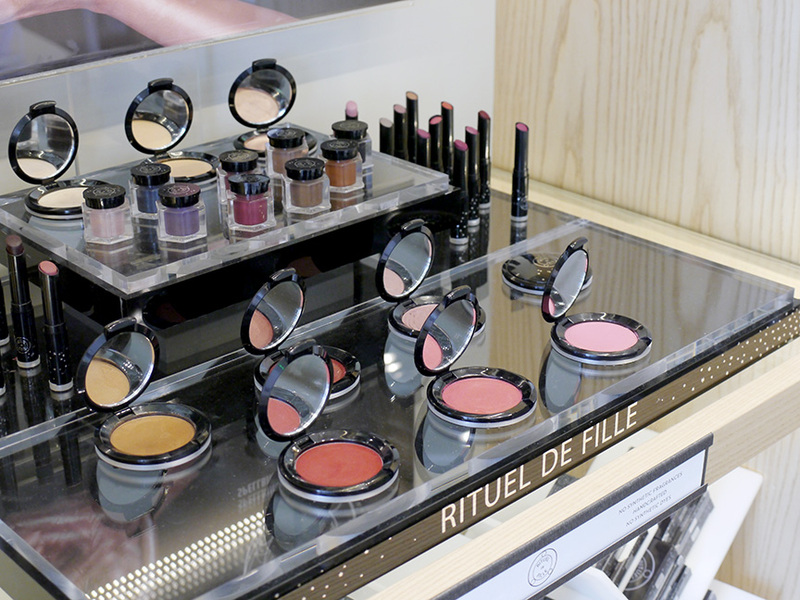 I am such a big fan of Rituel de Fille and love that I can now easily purchase their products at Credo’s Beauty Bar. I’ve been using the Inner Glow Creme Pigment in Frenzy, a sheer berry color with a subtle shimmer, as both a blush and lip color for all skin tones. It gives such a dewy flushed color to the cheeks and leaves lips with a perfect and natural stain. Their Eye Soots are another product I can’t get enough of because they’re long-wearing eyeshadow pigments that give an intense color payoff. I especially love using Golden Age, a shimmery burnt gold, and Half Light, a warm taupe. You can wear these two colors as a primer or mix to customize your look. I am so into using products that have multiple uses! Patyka’s Skin Booster Serum is a 3-in-1 elixir used for the face, body, and hair. There are twelve essential oils and plant extracts to leave your face and body rejuvenated, and your hair silky and shiny. Also, it smells glorious—just like fresh citrus! Tata Harper has some pretty amazing skin care and makeup products, but I always keep my makeup kit stocked with her Be True Lip Treatment. This lip treatment is so nourishing for dry lips and has anti-aging properties to keep lips plumped and full. 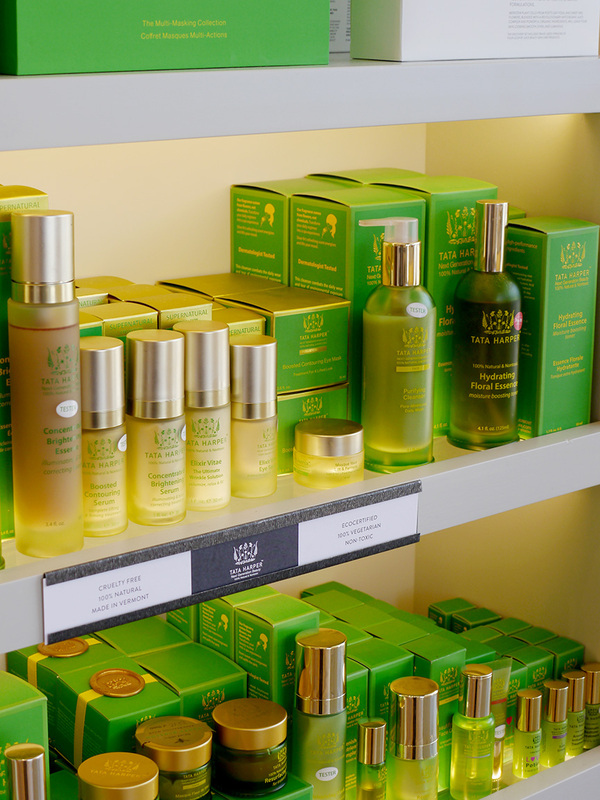 Credo also has a Tata Harper Spa that offers seven different facials to cater to all your skin care needs. 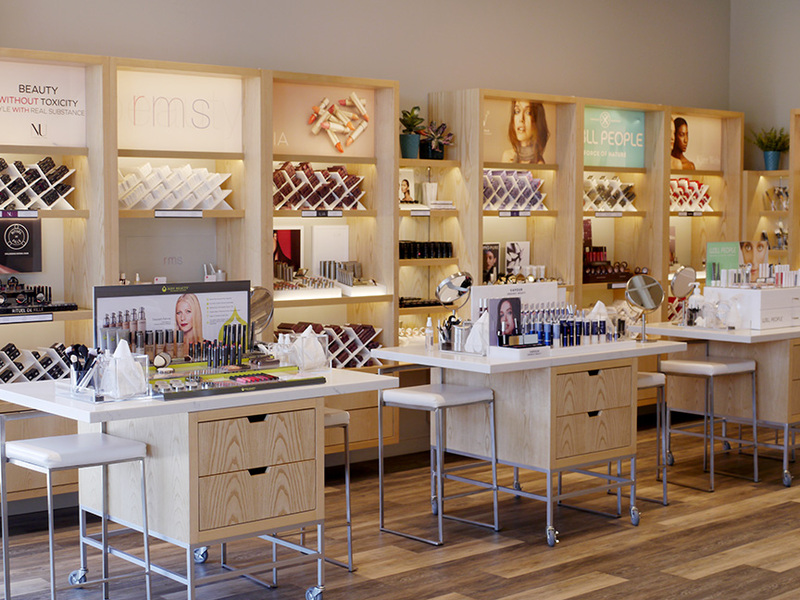 Make sure to try their Signature Facial for some added anti-aging love. Speaking of facials, while visiting the store, I was treated to a mini facial using Marie Veronique products. 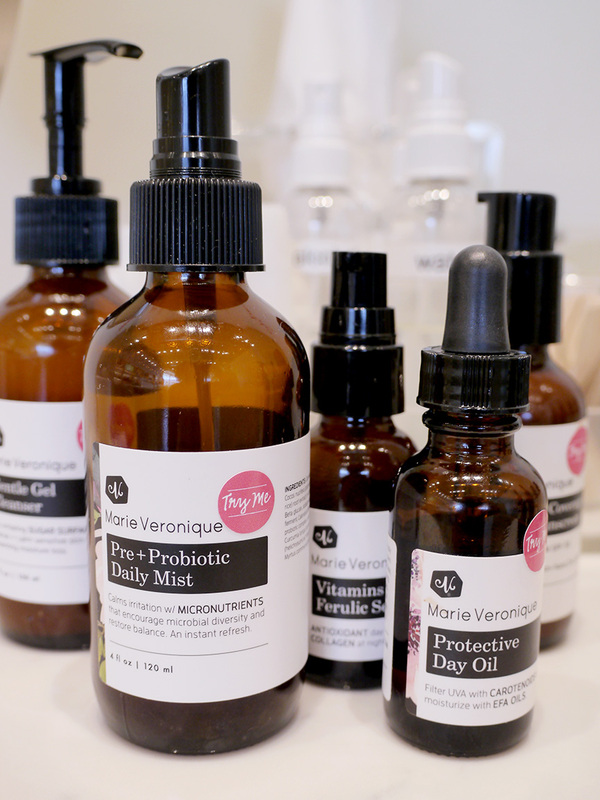 Marie believes in keeping the skin balanced and not stripping it of healthy bacteria. I have been dealing with redness on my cheeks and am always battling with hyperpigmentation, so I definitely could see my skin was unbalanced. To begin, the facialist cleansed my face with the Gentle Gel Cleanser. It doesn’t contain sulfates which ultimately will dry out your skin. Instead, the foamy cleanser is made with sugar (yum!) to cleanse, calm, and soothe sensitive skin entirely. A few spritzes of the Daily Mist rehydrated my skin thanks to its main ingredient, coconut water. For collagen building and fading my hyperpigmentation, she lightly pressed Vitamin C, E, Ferulic Acid Serum into my skin. She followed with the Protective Day Oil to help reduce any inflammation. The last product the facialist used was a Tinted Sunscreen. As soon as she applied it to my face, I loved how light the texture felt. The color didn’t leave a white cast at all. Instead, it completely evened out my skin tone. I have been using this sunscreen every day since my facial and have seen a significant improvement in the overall health and balance of my skin. Can’t say enough good things about these products and I look forward to coming again soon for another facial! 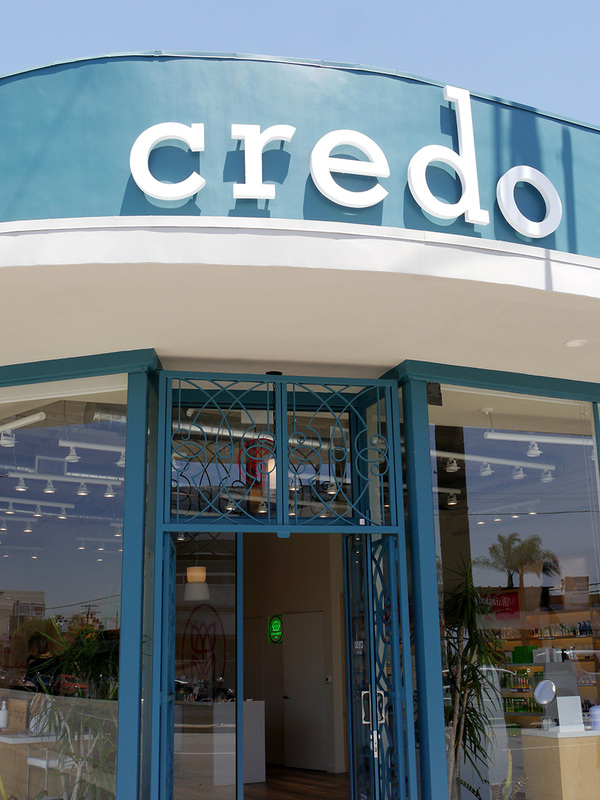 If you live in the Los Angeles area, make sure you drop by Credo’s Beauty Bar to browse around the store, try some new products, and maybe squeeze in a facial. You can also visit their website for other store locations, events, or to shop in their online store. Questions on any of the products mentioned above? Don’t be shy—ask away in the comments below!